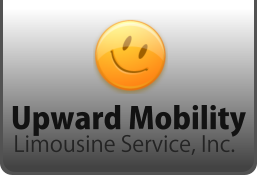 Upward Mobility Limousine Service, Inc. is a para-transit licensed ambulette service company who provides safe, reliable and friendly transportation to our clients. We take pride in serving our clients in New York city and the surrounding Boroughs with our modern fleet of wheelchair accessible vehicles equipped with Braun L915/L918 hydraulic lifts. 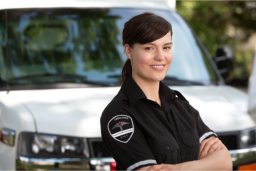 We dispatch all of our vehicles from a centralized location to insure prompt service. Our professional drivers have in-depth transportation industry experience, giving you an assurance of care and satisfaction. We follow a strict and comprehensive applicants screening process and thorough background checking to make sure that we will get the most qualified staffs who will serve all your needs. Upward Mobility Limousine Service, Inc. has a fleet of elegant and well-maintained vehicles to fully accomplish our goal to give you the most reliable and dependable transportation services. Whether you need ambulatory services or a ride to airport and private events, our vehicles and people are always ready to serve. From pick-up up to drop off, you can expect the highest level of care and customer service that we believe you certainly deserve. Upward Mobility Limousine Service, Inc. is dedicated to provide the most convenient, safe and reliable medical transportation services to the whole of New York and its surrounding areas. By following industry accepted standards and policies, we commit ourselves to be your trusted source of all your transportation needs. A quality, dependable and comfortable transportation experience is what our company provides to every client we serve. If you feel that Upward Mobility Limousine Service, Inc. can assist and work for you, we would be happy to provide further information and answer any questions that you may have. You can reach our customer service hotline number at 718-777-3330 or give us an online message using our inquiry form.